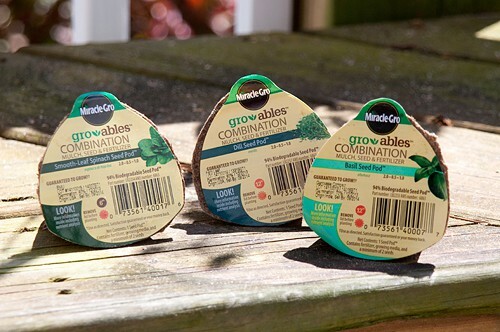 Home » Archives » It’s Growing Season with Scott’s Gro-Ables! It’s Growing Season with Scott’s Gro-Ables! I’ve always been a gardener. I can’t remember a time when I didn’t have something edible growing right outside my backdoor. Every summer I plant herbs and vegetables and we always enjoy having the fresh produce just steps away from the kitchen. However, I’ve never, ever been very successful at growing plants from seed. It’s just so confusing trying to figure out when to start the seeds, how deeply to sow them, what to fertilize them with…can you relate? Well, I’m really excited this year to try out this new product from Scott’s, the folks that make Miracle-Gro which just happens to be my favorite fertilizer of all time! 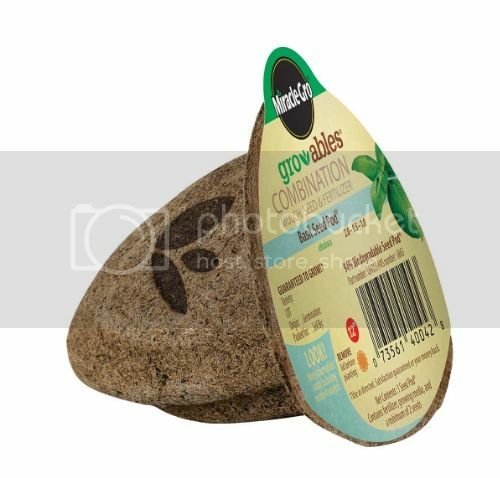 Scott’s Gro-ables are little pre-packaged seed pods that are designed for people new to gardening, or those like me who have trouble growing from seed. They’re guaranteed to grow if you follow the directions and they take all the guesswork out of the planting process. Just what I need! Plus, they’re affordable, too. Each little pod retails for from $1.29 to $1.49. Compare that with what you’d spend at the grocery store for fresh produce. There’s even a video explaining the whole process. You just prepare your planting spot, press the pod into the soil, add water, and watch it grow! I received three pods – one each of Smooth-Leaf Spinach, Dill, and Basil – which I’ll be planting directly outside after all danger of frost in our area has passed. That’s just a couple of weeks away. I can’t wait to use some of that lovely fresh basil to make one of my favorite recipes, Pasta with Tomato-Basil Sauce. Or maybe my Lemon-Dill Potato Salad. Yum!